Located about 4º directly below Sirius, the open cluster in Canis Major (M41) is easy to find through a camera lens or with the naked eye. 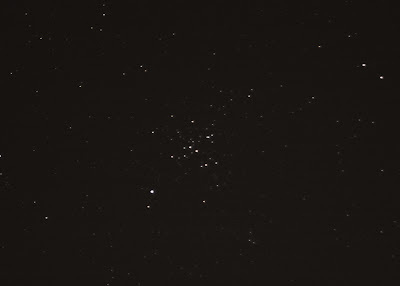 Last night was my first time spotting the cluster, and I used my finger held at arms length to measure 1º increments below Sirius until I located the faint glob of stars. 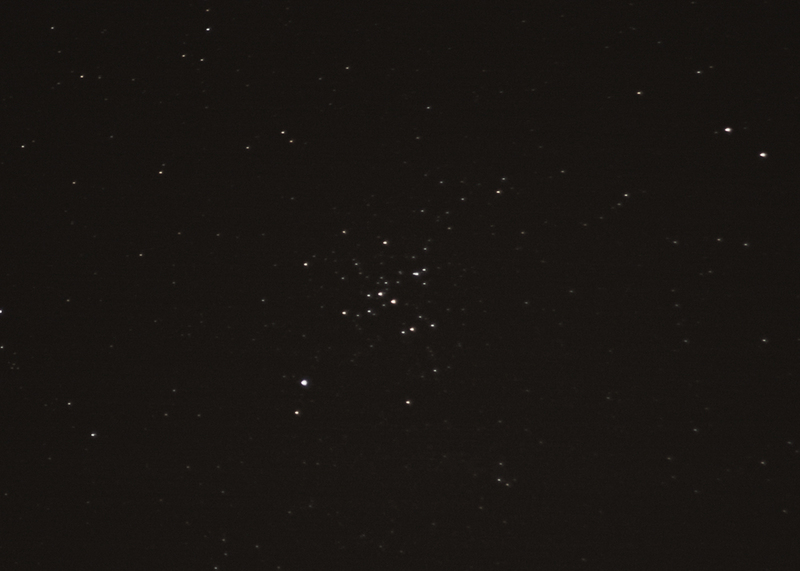 Stacking brought out most of the 100 or so stars that make up this cluster. 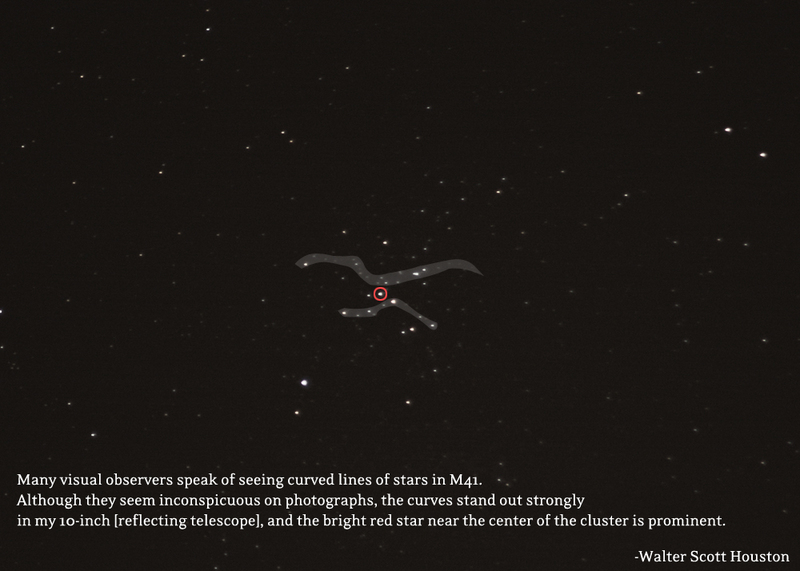 Two articles I read mentioned curving rows of stars with a bright red star in the center. 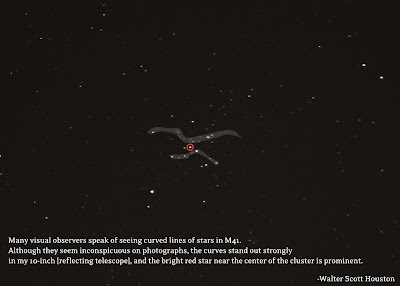 Maybe it's the power of suggestion, but I do sort of see curving lines of stars surrounding a bright central star. Here is an overlay I made in Photoshop to illustrate one possible interpretation of the lines. Do you see them? Do you see different lines?